If you are from Boston then you are sure to be a Celtics fan. 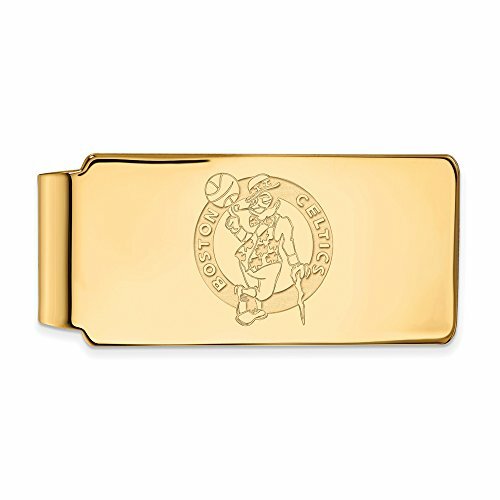 Celebrate your favorite team with this fold over Boston Celtics money clip. We are a certified LogoArt retailer and this item is licensed by the NBA. It is crafted by LogoArt right here in the USA and is made from 18 karat yellow gold flashed silver. It is 55 mm in length and 26 in width. This item is made to order, please allow an additional 7 days for shipping.